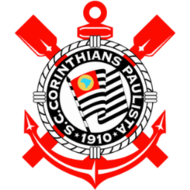 Corinthians are popularly known as Timao, the team of the people. They are the best supported of the four big Sao Paulo clubs. Their estimated 30 million supporters are the second biggest support in Brazil behind only the 40 odd million fans of Flamengo, the Rio ‘club of the people’. In April GGW confidently tipped Corinthians to emerge from the just beginning 2011 Brazilian League as the most likely Champions. And for all of the campaign to date they have either been leaders or very close in contention. Now, with only 5 games to go they sit top of the league, but they will have to cut back on an alarming tendency to casualness if they are to hold on to that number one spot and earn their 5th national title for their fanatical supporters, known as the Fiel. The four Rio clubs, Vasco de Gama, Fluminense, Flamengo and Botafogo are the only clubs left in a position to deny the Timao the title they have set their hearts on. Currently Vasco the winners of the 2011 Brazil Cup, are behind Corinthians only on goal difference, with 2010 champions Fluminense 2 points behind, and 2009 Champions Flamengo a further point behind sharing 4th place with Botafogo. In some ways this has appeared to be the most open and even Brazilian Championship ever, in the 8 years since the league resorted to the European formula of League football rather than the more complicated formulas of mini-leagues and knockout stages used in the first 32 years from the formation of a true national championship in 1971. But those like your GGW correspondent who watch Brazilian games regularly can report that the sad truth is that the increased competitiveness has resulted from a reduced standard of play which means there are no outstanding teams and almost every team is capable of beating any other team. In what would be a surprise to most UK football supporters, brought up on the myth of Brazilian brilliance, the current overall standard of even the top teams is actually quite poor, by top European standards. The pace of decline is perhaps best illustrated by Inter PA. In 2006 they won the Copa Libertadores and then went on to beat Barcelona in the 2006 World Club Cup Final, 1-0 with a goal from Alex. In 2010 Inter again won the Copa Libertadores, and then in the World Club Cup became the first South American champions to fail to reach the Final, surrendering docilely to African champions Mazembe in a woeful display. Inter Milan emphasised the weakness of that performance by hammering Matumbe 3-0 in the Final days before they sacked their Manager, Rafa Benitez, because the team were not quite right. In the 5 years since that first Inter PA triumph, the process whereby every promising Brazilian club player is snapped up by European clubs has accelerated denuding the Brazilian League of much of its most promising talent. As readers of the recent GGW post on the Chinese game will know, even China through new champions Gangzhou have started playing this game, taking Dario Conca, the best player of the Fluminense 2010 champions side to improve the quality of their team for an irresistible fee of 10 million dollars. Over the past few years an attempt has been made to reverse this talent drain with several high profile world class Brazilian players being lured back to the home country. Corinthians were one of the leaders of this movement with the two all-time legends Ronaldo and Roberto Carlos being brought back in time for their Centenary season. Boosted by these two stars Corinthians won the 2009 Sao Paulo State League and the 2009 Brazil Cup, then finished 3rd in the 2010 Brazilian League. However their two attempts at the Copa Libertadores in 2010 and 2011 ended dismally, and both super stars departed, Ronaldo into fat fuelled retirement and Roberto Carlos to a last major payday with the latest Russian plutocrats Anzi Makhachkala. For their attempt on the 2011 Brazilian championship Corinthians repatriated Adriano, another fat forward with a history of personal problems. Hampered by niggling in juries and continuing personal indiscipline, Adriano has contributed almost nothing to the Championship effort, appearing for only 38 minutes in two substitute appearances without scoring. 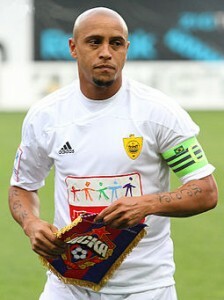 More successful was the signing from Sporting Lisbon of 33 year old Leidson, a Brazilian who had assimilated so well in Portugal that he gained several caps for the national side. Quickly integrated into Corinthians Leidson has provided the sharpness in front of goal that characterised his time with Sporting Lisbon, contributing 10 goals in 22 starts to be top scorer. Then more recently they added some creative flair to their midfield with the purchase of ex-Inter PA star Alex from Spartak Moscow. The best of the rest have been defensive midfielders Ralf who has established himself in the Brazilian national side and Paulinho who recently gained a first cap. 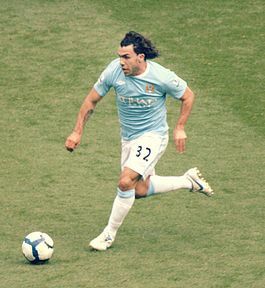 In the summer there was talk that Carlos Tevez would sign for Corinthians for a rumoured fee of £40 million pounds. Two things can be said about this proposed transfer. The first is that if Tevez had signed for Corinthians in July 2011 then it is very likely that Corinthians would have already have had the 2011 title sewn up by now. 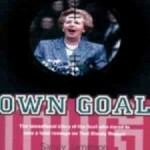 The second is that despite this sporting reality it would have been a financially disastrous move for Corinthians. It took Corinthians years to recover from the last time they signed Tevez and his international team mate Mascherano. While they did win the national title with these two in 2005, the financial difficulties created led directly to their relegation to the Second Division in 2007. That a club with 30 million supporters and Corinthians’ rich history should be relegated was almost unthinkable but it did happen, due to many factors, with the purchase of Tevez being one of them. It has been fascinating to hear in the last few days the new Sao Paulo coach, hard man Leao, reminding Corinthians fans that Tevez displayed similar problems under Leao in Corinthians in 2006 to those he is now displaying at Manchester City and that they should be wary of rushing to welcome him back even at the reduced fee of under 20 million that may be possible in the January 2012 Transfer Window. Even if they can get that kind of money Corinthians would be better advised to invest in half a dozen younger Brazilians to boost the general overall depth of quality in their side rather than risk it on the unreliable temperament of a man who has already let their club down previously and whose character has appeared to deteriorate since then. However logic and reason has little to do with the way Corinthians Football Club is run and it would be unwise to bet against this foolish transfer being made. 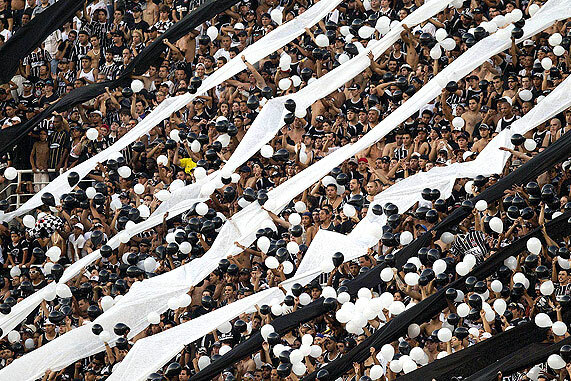 Even without Tevez, Corinthians should still be good enough to win this year’s League Championship. They have the easiest run-in of the top five, with three games at home and Adriano may yet make a belated contribution. The Rio teams have a series of local derbies to come in the final weeks of the season and of the four, Flamengo, with their repatriated trio of Ronaldinho, Thiago Neves and Deivid, would seem best placed to make Corinthians fight until the final day rather than Vasco Fluminense or Botafogo. At the worst, even with more of the casualness that has already led to several unexpected home defeats, Corinthians should at least ensure qualification for the 2012 Copa Libertadores since Vasco have already qualified as Brazil Cup winners and there are four places available via the top of the League. superstar Neymar at least until the World Club Cup in December, where he may as a likely future Real Madrid recruit have a vested interest in ensuring they deny Barcelona the official title of best team in the world generally awarded to them by acclaim. Barcelona still have not given up hope of signing Neymar themselves, only partly to stop Real getting him. Santos claim to want to keep him at least until the 2014 World Cup but the smart money still is on a 2102 move to Real Madrid for a fee of over £50 million pounds. GGW will report on the final few weeks of the Brazilian Championship and also on Santos’s effort to repeat their achievements under Pele by winning the World Club Cup.